Garbage will release their next album 'Strange Little Birds' on their own label STUNVOLUME. 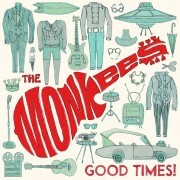 The Monkees will release their first new album in twenty years on May 27 (vinyl on July 1) with the Adam Schlesinger produced Good Times. What was originally thought to be a dislocated shoulder has turned out to be a broken one, forcing ZZ Top to postpone a series of dates. GANGgajang will perform a series of shows around Australia moving into Melbourne this month in support of their new song ‘Circles In The Sand’. Black Sabbath is a totally unique band. Think about what comes from guitar, bass, drums and one of the most distinctive vocalists of the rock era. When Black Sabbath stops later this year, a piece of rock history will be over. 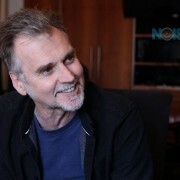 Alex Smith of Moving Pictures has locked in a few solo gigs in Sydney when he is back in Australia for the next Moving Pictures tour. 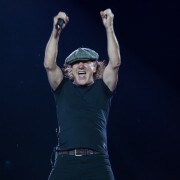 After the departure of Brian Johnson from AC/DC more details have surfaced suggested Johnson was fired from the band. Boston is the latest act to pull out of Govern Pat McCrory's homophone state North Carolina. Broods have a new song ‘Free’ and they are coming to Australia to play it live. MxPx have cancelled their Australian tour for May and blame the promoter. 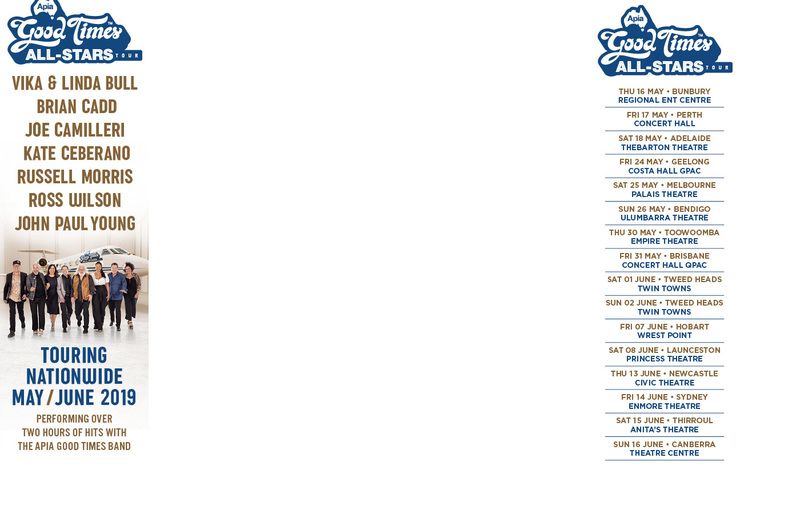 The Ataris will return to Australia for their first dates in five years. Pearl Jam have performed the entire 1993 ‘Vs’ from beginning to end for the very first time in South Carolina. Nirvana bass player Krist Novoselic joined Paul McCartney for a boisterous version of his Beatles classic ‘Helter Skelter’. Gwen Stefani has set a 27-date nationwide tour behind her new album This is What the Truth Feels Like. The Proclaimers have been around a long time, they have had a lot of albums and as it turns out they have a lot of fans. There is something humorous about the dinginess of Melbourne’s northern suburb Preston being sung about on a stage in the California desert. Ice Cube reunited with his N.W.A. 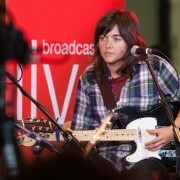 bandmates in a surprise hit-filled set at Coachella Festival on Saturday. 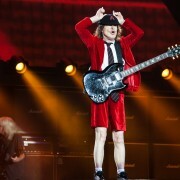 AC/DC’s Angus Young has performed with his new employee Axl Rose at Guns N Roses show at Coachella. Black Sabbath played the first of the last of their Australia shows in Perth on Friday night. The Coachella Festival in Indio, CA is about to start and YouTube and T-Mobile will be streaming highlights throughout the upcoming weekend. 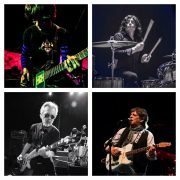 San Francisco pre-punk band The Flamin’ Groovies are celebrating their 50th anniversary this year with a new song ‘Crazy Macy’. 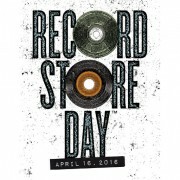 Record Store Day has arrived in Australia with a full day of in-stores, special releases and treats all day in music stores across the country. Kansas will tour select cities this fall for the 40th anniversary of their album Leftoverture. Mumford & Sons are donating proceeds from their Thursday night concert in North Carolina to charity as they prepare to press on with the gig. Singer, songwriter, photographer, activist, environmentalist Graham Nash is counted amongst the greatest music minds of all time. 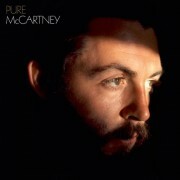 Paul McCartney kicked off his One On One tour in Fresno, California and has played two Beatles classics for the very first time as a solo artist. Jack Howard, the horn of Hunters & Collectors, is stepping out solo for his Epic Brass show for the Memo Music Hall. While Dolly Parton has appeared relatively often in the U.S. and Canada, she has not done a full out tour in twenty-five years. Kenny Rogers previously announced that he was embarking on his final major tour earlier in the year. The Splendour In The Grass announcement is out with The Cure and The Strokes topping the bill for the 2016 music festival at Byron Bay.